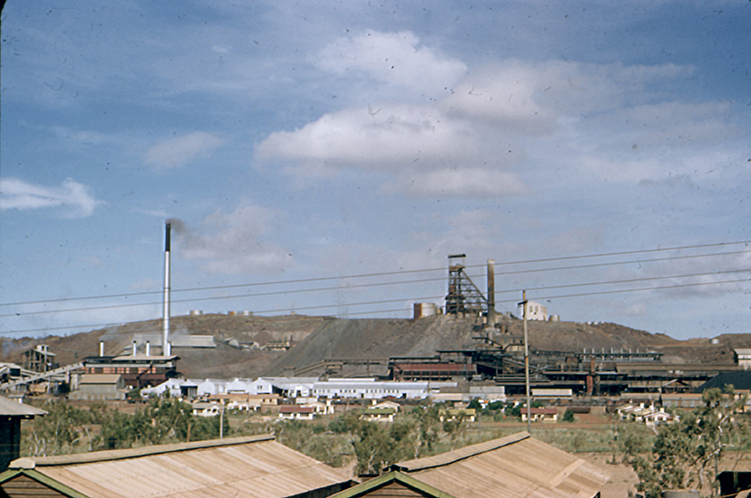 Mount Isa Mines is one of the most productive single mines in world history of lead, silver, copper and zinc. 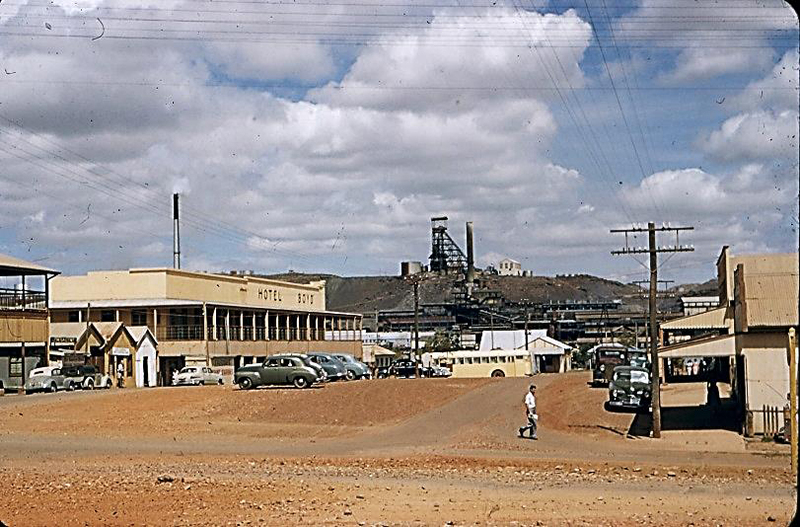 While working on Oban in 1951 I made many trips into Mt Isa to pick up supplies. The Leichhardt River divided the city into areas known as “mineside” with services and accommodation connected with the mine and “townside” with the main business district. The main hotel I remember was known as the Isa with typical 2 story Queensland construction, showing timber single sided cladding. On a later visit in mid 1950 I stayed at the later constructed Hotel Boyd for a hot restless night with its solid construction and no air conditioning. The first photo (above) shows the Hotel Boyd on the left. 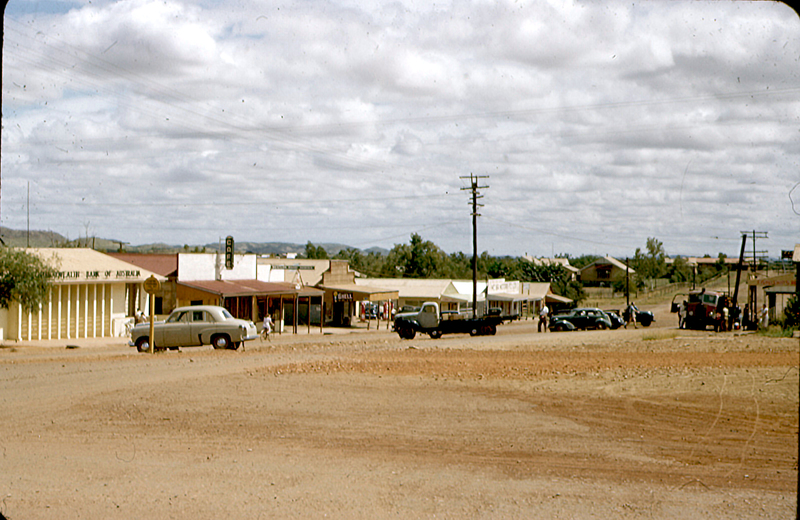 The next (below) is another street scene and the third photo is of the Mt Isa Mine.